Stefan Kolle of Futurelab here. I am writing this email in good spirits as Futurelab enters the new season with some interesting developments and news. In the past few years the market of customer experience has reached a certain level of maturity. Much is being done in subsectors such as training and technology. But it seems that the need in customer insight converted into hard business ideas and then actions is still largely underserviced. This is why we are launching a new product dedicated to fulfilling that need: Outsourced Net Promoter implementation. 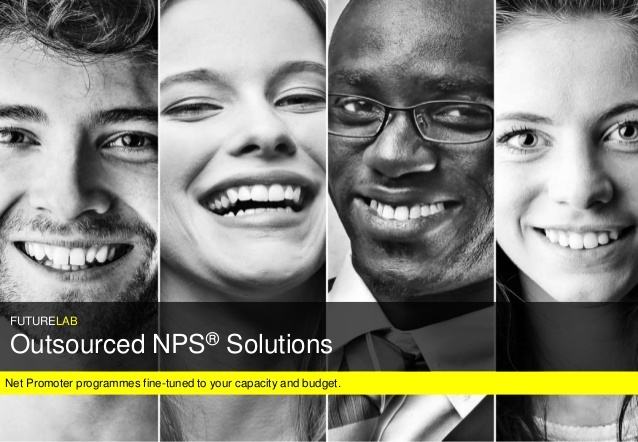 It is a subscription-based research and consultancy bundle for those who want the full power of NPS but lack resources or time to do it by themselves. Check out the full product description here, or drop us a line if you have questions or comments. Of course we will happily come by for a cup of coffee to discuss it in person. As many of you already know, Futurelab’s co-founder Alain Thys has ventured into a solo project CustomerFit, a great starting point to assess the customer management capabilities of your company. We are excited about his new developments and believe that they will bring the much desired change to the industry of customer experience. While Alain remains our shareholder I have taken over his responsibilities of the Chairman of the company and the Managing Director. Futurelab’s head of research Marina Natanova has become Deputy Managing Director and joined our Board of Directors. Carl Holsters remains in the position of non-executive Director. We will focus our attention a lot more on the DACH market in the coming year. This means that most of our materials will become available in German, and we will start running a blog on our German-language website. Please let us know what you would like to see there.